"Globosome: Path of the Swarm is a delightful game of exploration, which tells its simple, wordless tale with skill and affection"
"Globosome: Path of the Swarm is a fun game all about exploration and finding your comrades." "Globosome: Path of the Swarm teaches you the value of having friends." Globosome is an atmospheric adventure about a curious little creature that has lost its family. By feeding on the surrounding flora, you can replicate into your own swarm, which enables you to accomplish things that would be impossible alone. Globosome: Path of the Swarm is based on Sascha Geddert’s animated short and the award-winning 2012 original. Globosome supports game controller for iPhone, iPad and iPod touch. 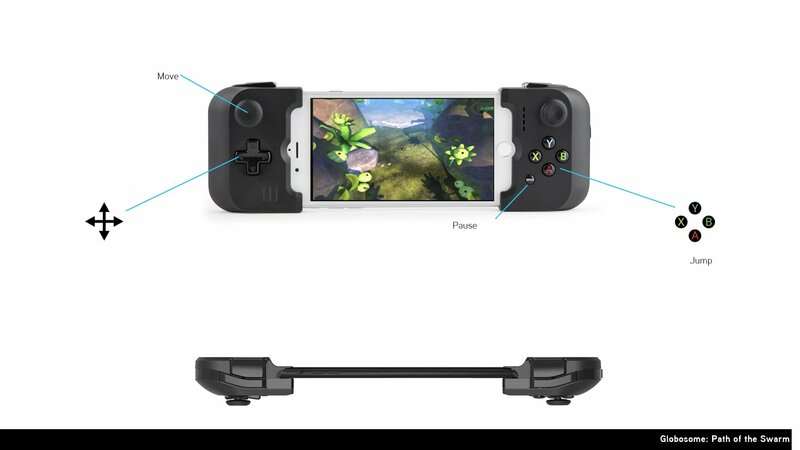 Controller support requires iOS 7 or higher and is compatible with iPhone 5, iPhone 5s, iPhone 5c, iPad4, iPad Air or later as well as iPod touch (5th generation).